This is an old drama, like ten years old I think. 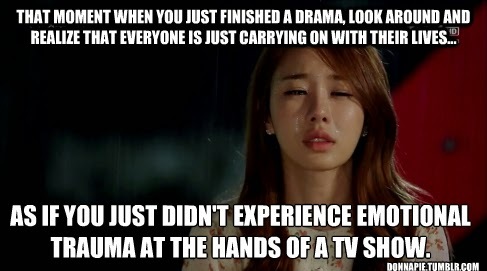 But it's a classic and one that everyone who knows anything about kdramas, and even those who don't, talk about and rave about. I decided it was finally time I caught up and watched it! It stars Gong Yoo (who I know from Goblin and Train to Busan, but I'm sure he's done a gazillion other things these past ten years too) and Yoon Eun Hye, who actually starred in the very first drama I watched, Lie to Me. I had no idea it was her because she is TOTALLY different in this one! So, the basic story (because as you know there are a ton of side stories too!) is about this guy who is sort of loser, struggling in life, not really doing anything and just living off his family's riches. But his grandma challenges him to take this old run down coffee shop and make it successful. I think she is hanging something over his head to motivate him but I already totally forgot what. At any rate, he does love his grandma and I think he finally grows up enough to want to just make her happy. And so he puts his heart into it. And hires a bunch of sort of misfit guys to run it and he calls it Coffee Prince. But before all that, he is bugged that his grandma is setting him up on a ton of blind dates, so one day when he runs into this young dude, he takes a fancy to him and hires him to pose as his gay lover, even though, of course, he's not gay. The problem is, this guy is not a guy, but our girl, the heroine of the story. She is very tomboyish and many people at first glance think she's a guy. So when our guy hires her to pose as his lover, she just goes along with it because she needs money to support her family. And then they become friends and he hires her to work with the guys in the coffee shop. Still thinking she is a guy of course. Well, and so.... she starts to like him. And much to his dismay, he starts to like her. Which is very confusing to him, because.. he's not gay. It makes for quite the interesting conflict! And so it goes for awhile until you are just DYING for her to finally just tell him already! And then when the truth finally comes out, it's not in a good way and BAM.. everything falls apart. Throw in all the other side stories and the back stories and you've got yourself one crazy drama filled drama! So perfectly awesome! The best part about this one was the acting. Like these two were so totally amazing. Gong Yoo, I mean... he's just.. there are no words. He's so good. And Eun Hye? The way she could make you forget she's a girl? Like how does she do that when she's this beautiful actress? I don't get it! She was so good. I think that these guys and this drama won all sorts of awards because of them. And it quite pushed the boundaries, you know, for this whole gay thing and gender identity and all that. And just really makes one think. And the romance was so... cute and fun and intense. All of it. 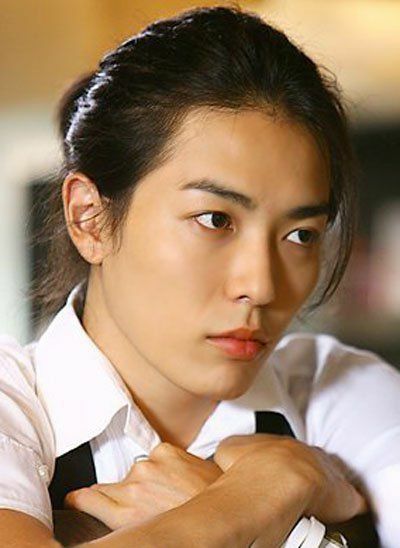 Kim Jae Wook who is NOT Japanese but played the cool Japanese guy. Oh wait, did I mention the Japanese guy? Well, I'm not sure if the actor is Japanese (I looked him up, he's not) but he did play a Japanese dude and he was so COOL! Like, he hardly said anything and yet you just fell in love. But when he did say stuff.. he had all the best lines! Yeah. He was also awesome. Wow, so this book grabbed me from the first page because I fell in love with the main dude from the opening line. This would be a great book to illustrate the use of voice to wannabe authors. Yeah, this dude, this Deacon Locke, had me from the start. 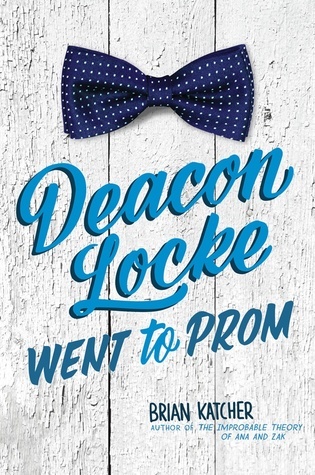 So our boy, Deacon Locke, has been living with his grandma for a few years now, since his dad basically disappeared. (I can't remember what happened to his mom at the moment, but she is not around either.) So his grandma takes him in for his high school years. And now he's a senior and he feels like he needs to experience prom, just to say he has. But he is too shy to do something about it. And he misses his chance. So he decides to take his grandma to prom, since she never got to go when she was in high school because his grandpa had to go to the Vietnam war. And everyone in his school thought so too, so they all take out their phones to film them! That's because they've (Deacon and his grandma that is) been taking dance lessons and they are awesome! So now this shy boy. Tall, awkward, astronomy geek and now in love with his dance teacher, becomes an internet sensation. What's a guy to do? So stuff happens. And then other stuff happens. And Deacon becomes extremely stressed out. And how does he fix it all? It's such an awesome friendship book. And relationship book, with Deacon and his grandma at the heart of it. Lots of funny moments. And sad moments. And romance moments. It has it all. I loved it. And I've never heard of this author. I need to go read all his other stuff now. This book is easy to sum up. 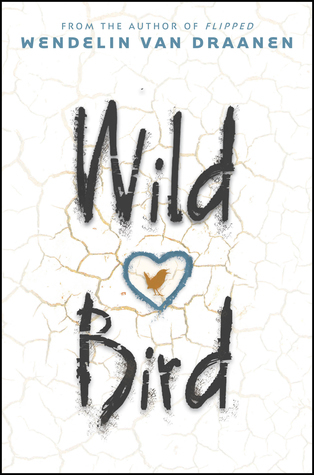 It's a girl's experience being sent to a wilderness survival camp for troubled teenagers, in the middle of Utah. It's how she goes from angry and belligerent, to her normal happy (ish) self again. It was fun to see the transformation. The book opens when her parents have finally had enough. And she finds herself on her way from California to Utah with the final destination being this camp. In real life, we have a ton of them here in Utah. It's a great place to get lost and find yourself at the same time, in the desert! I loved being able to picture the landscape and the feel of the area without any problem. Not that I've ever been lost in the desert. Or to one of these camps for that matter. But I have been on a lot of hikes in such terrain! Anyway. And so she fights the whole thing, until she finally decides to stop fighting. And then she ends up loving it. And then she basically doesn't really want to go home. But in all this process she realizes what an awesome family she has and how she has treated them so horribly. And yeah. So the wilderness camp works! For this girl. And while it doesn't end totally happily ever after, and you can tell there will be bumps along the way, you have this awesome feeling of hope. It also shows that it isn't a perfect fix for all troubled teens. There's a guy who needs to come back and try again. And I hope he makes it this time! I ended up liking it a lot more than I thought I would (given the no romance factor and all). It was well written as all of her books are. I'm pretty sure I'm a fan. This one takes place in the rough part of England right when Jack the Ripper lets loose. Our girl, who has been disfigured working in a match factory, gets a job as the maid of a guy named Joseph Merrick, in a nearby hospital. Turns out, this guy is the famous Elephant Man. He's come to live out his days in this hospital, and the matron thinks that our girl, due to her own facial issues, will be a good match. Turns out she is right. And they form a fast and bonding friendship. But strange things start to happen when ghosts begin appearing in his room at night. And they, together, have to help these spirits find peace. It's a heartwarming story. I really actually quite enjoyed it. It's written in a slow methodical dry style, which at times I liked and at times made me crazy. I think young people might find it boring. Unless they enjoy a sort of old style of writing. Which they might do, you know. But if they like these two stories, this is a fun and interesting mash up. I'm not sure it was meant to be a creepy ghost-like tale, but if so, it wasn't. Like I said, it was more heartwarming. For the most part. I mean our girl had to deal with a few other things not part of these two stories, that wasn't so heartwarming. So yeah. An interesting historical ghost story with a some unique twists and turns. I totally enjoyed it. Well. SO MUCH IS GOING ON in the world of KPOP! And I haven't kept up on my idea to do these weekly/biweely posts, and so I'm going to touch on some of the highlights of the past while. Speaking of BTS, they arrived in LA today and they are going to be on like a bunch of talk shows here in the US (James Corden, Jimmy Kimmel, Ellen so far) and then perform at the AMAs on Sunday. WATCH THEM! YOU WILL BE BLOWN AWAY! They will perform DNA at the award show we've been told. Anyway, this is huge for them and I hope America loves them and is nice to them and I hope they aren't corrupted by America. I hope it all goes well. As part of their comeback, they've been having a daily "behind the scenes" show be aired that let's have a glimpse of what it's been like for them getting this album ready. I love seeing all their personalities come out during this kind of thing. It's been so fun to fall for them all over again. Many of our other favorite groups have also had new albums come out this past week too. Monsta X, Block B, SEVENTEEN, Astro and Wanna One.... to name a few. All their new songs are so much fun! We can't get enough of them. And just yesterday, Monsta X won their first award! YES! They cried! It was awesome! Our Youtube channel has partnered with one of the biggest Korean entertainment companies (the one that puts on KCON, among many other things!) which means for us that we get some perks (hopefully) should we ever visit Korea, and we get some other opportunities that we otherwise wouldn't. It's been a scary thing, but we hope it's a good one in the end. Mostly we hope that when KCON rolls around again, we get to be more a part of the festivities on the front lines as we saw many other Youtubers doing last year. We'll see I guess. So this book made me feel like my old self again. I read it in just a couple of days and totally got caught up in the story. I dropped all my other distractions to JUST READ! It was awesome!!! However, it reminded me a lot of a couple of other books I've recently read, the ones where the two characters are writing to each other, but they don't know who each other are. They are interacting in real life, and not necessarily liking each other. But they are falling in love through the letters. So the story itself wasn't really new, but I didn't care. I must really love this plot device. 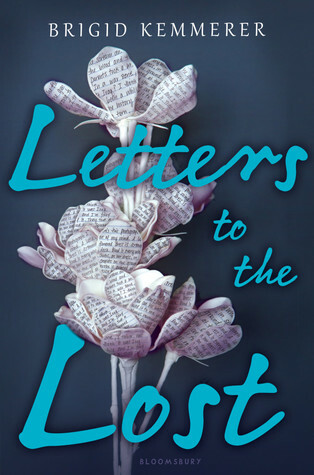 So in this case, our girl visits her mom's grave and writes letters to her and leaves them there. Our boy is doing community service at the cemetery and discovers the letters...well the most recent one anyway. And he is moved by it. The girl is pouring our her feelings and he just simply adds... me too, on her letter. Well, when she sees that she freaks and gets mad and writes him a scathing letter back. Telling him he has NO RIGHT to mock her and that there's no way he can understand. Well, turns out he can because he has lost his little sister. So they start writing. Then they start emailing... and they find a place through each other, to pour out their guts in a safe way. At school, there's this dude who is shunned by all the kids because he has bad reputation. He's done some "bad" things and he is now serving time by doing community service. Yeah. Our girl thinks he's scary just like everyone else, until she has a few encounters and then she finds she is drawn to him in a weird way that makes her a little freaked out. And as she gets to know him better, she starts feeling like she's cheating on the letter writer. Why do I love this so much? I don't know. But, these characters were awesome. So real and so lovely. The writing was just my style, whatever that means. So engaging. Deep without trying too hard. My favorite part (besides the romance of course) is that these kids had some awesome adults in their lives. You know, how you always just assume their parents are jerks and their teachers won't give them breaks or try to understand their situations or where they are coming from? Not in this book. This book had wonderful adults who helped. And it was so refreshing. Anyway. Yeah. I devoured this one. Give me more like it!! 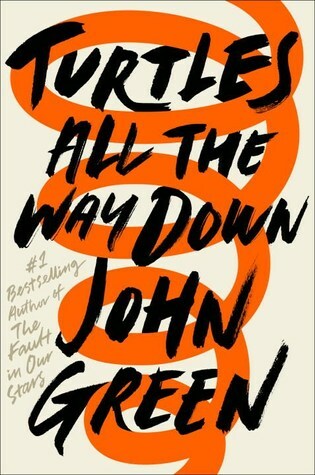 It's been awhile Mr. John Green! 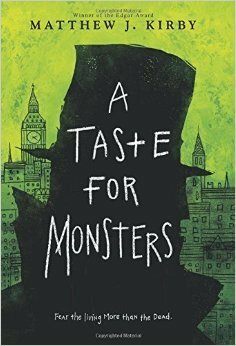 It was fun to read this book during the readathon. I managed pretty much most of it, needing only about another hour or so the next day to finish up. Interestingly enough, it had a lot of similarities to the book I'd just finished (the kdrama one) that I kinda am now getting the stories mixed up in my head. Funny, don't you think? Well, this one is about a girl who has severe anxiety disorder. She's quite convinced she is going to get that C.Diff infection and die, like any second now. Which makes her pretty paranoid about germs and food and whatever might be going on in her stomach. But she is coping, sort of mostly, and has an awesome friend (who sort of stole the show for me and as some of the best lines) who helps her through it. The book starts out with her renewing a friendship with a dude she knew back in elementary school. His dad has suddenly disappeared and being from a massively wealthy family, there is a reward offered for any information about the situation. Our girl (dang what's her name again...oh right, Aza) and her friend decide to go for this reward money. In the process, sparks begin to fly with this boy that she had pretty much forgotten about. Well. It's classic John Green in that these two have some pretty deep conversations. And the boy is pretty, introspective shall we say, and has a blog where there's a lot of.. I can't think of another word except deep... stuff on it. It makes him be an interesting character, but not too very relate-able I'd say. I don't know. It's weird because on one hand, I enjoy this deep stuff, this make you think stuff, but on the other hand, sometimes it gets annoying and too agenda-y. Know what I mean? I guess this time around, this agenda-y stuff bugged me more than it has in the past. But still, like I said, it's good stuff! Anyway, the romance comes to a dead halt when kissing is massive problem for Aza. And then she and her friend had a falling out, which is not fun, and anyway. It turned out to be a bit of a downer, and now I can't even totally remember how it all ended up, but it wasn't the happiest of endings. Which, you know is okay, but, it just depressed me. Yeah. So. I liked it, but I didn't love it like I have his other books. His writing is awesome and I had no problem tearing through it on readathon day. So that's something. Have you read it yet? Let me know what you think!